A slew of modern death metal is shiny, flashy, and in addition, purely cutthroat. Nowadays bands are experiment with their musical style continuously with candied old-school imitators.While some sophomoric snobs attempting to sell their flavor of the month band to potential listeners, there are some bands that simply exist outside of pre-existing molds. Death metal does not stagnate in a constant form. Death metal presented in various forms. When death metal meets with Middle eastern,Egyptian mythology then the result comes out phenomenal and always appreciated by metal music maniacs. Ancient Egyptian mythology,history was always enigmatic,mysterious and ambiguous from centuries and obviously difficult to trace . Pertaining their geographical position where ancient Egypt prevailed for centuries spreading knowledge and reaching higher levels of progression.In this difficult,complex musical style some challengers exist. I believe that the fascination over ancient Egypt will never end and for a good reason.In before who ever checked out my article regarding Egyptian mythology based band every time I had mentioned that always Egyptian ,Mesopotamian mythology concept based article ,image , band whatever easily attracted me because of their epic history,magnificent theme,culture . It's been six years since the Cairo based Egyptian death metal sextet scarab last put out an album.Well, after a long time since the recording of their last sonic assailment oriental death metal troupe Scarab revealed their sophomore full length album entitled “Serpents Of The Nile” on 6th March,2015 via ViciSolum Productions.Their latest studio effort consist with eight tracks with approximate 55:41 minute running time.At first let me introduce Scarab with you all.Basically Scarab was formed in 2006. Sprouting from the band “Hatesuffocation” which had roots running since 2001 until 2006 with 2 self-released EPs. 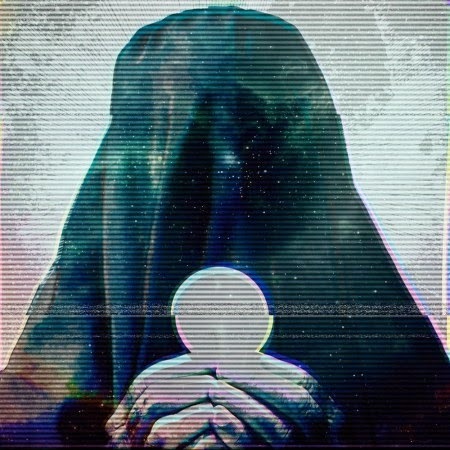 In before Scarab released one EP entitled “Valley of the Sandwalkers” in 2007 and their debut full length album entitled “Blinding the Masses” in 2009. It’s really difficult to separate a band, their story, their legacy and their music from each other to glean some truth about the piece you presently get to witness. Scarab have triumphed musically to attain their own particular style,religious history and sound without sounding niche or trite.Death Metal colliding with Middle Eastern,Mesopotamian or otherwise unconventional influences enjoys indeed tend quite rare.Scarab able to gain proper attention in this complex,unrelenting, disparate musical style.Scarab is a well established group of bands who can make a fully sound and creative and with a lot of excellence in his lyrics,with well crafted,distinct content . Already Nile,Coffin Texts,Melechesh, Maat,Crescent are undisputed kings of Middle eastern influenced musical style.Scarab deliver a very unique kind of death metal combining brutal,technical,melodic and atmospheric musical style with Egyptian,Arabic folk elements.Their musical level of complexity, technicality and obscurity is fantastic. At a first listen of “Serpents Of The Nile” I was astounded and grab my attention.After a multiple listen their latest studio effort possessed me with their extreme,chromatic,multi-layered, powerful,blasting death metal musical style with technical riffs work , paradigm shift and melodic,folk vibe with sporadic middle eastern tunes , dark, sensual and mystical soundscapes and obviously their distinguishing musical composition ,grandiose concept just blew me away .Sammy Sayed and his cohorts exudes tremendous effort in radiant way on this album with excellent diligence and nailed it .I really appreciate each and every single musicians unsurpassed ability,efficiency and skill. This new album is triumphant rich death metal. This whole album reflects the grand diversity of sound brought together on this album . Their incredibly sensitive,slightly sandy,dusty antique and disparate musical styles all combined in one bold, enlightened display of unbound creativity Despite the often fast ,furious,cacophonous, heavy and extreme form of death metal assaults with a lots of segments of brutal,technical,melodic segments,tasteful Middle eastern,Arabic musical style involvement and without sacrificing the atmospheric aspect enhanced this new albums unique flavor and enriched this album that is very powerful,heavy and excellent all at the same time along with a good balance of technical death metal music,Middle Eastern music,melody and brutality with strangulated ,intricate riffs work and those effective rasps,harsh vocals simultaneously . Their music is both dark and ecstatic. I highly appreciate and applaud and cite this album because of their distinct style .This album contains with a strong dose of creative,memorable death metal with a trace of a modern taste,relentless rhythmic,technical,brutal and melodic that is simply outstanding. well, their latest opus starts with a ominous,oriental track with magical thoughts and whispering around the tones.This albums quasi opener “Visions of a Blood River” starts with a heavy,powerful,bestial grunt followed by intricate,fast,delicate riffs work,blast beating,fast soundscapes with onslaught of savage guitar and a wall of spectacular,relentless drums . Their whole composition and musical style is impeccable. From this new album we get fast, oppressive,oriental death metal finest variety with just make enough melody . This album is filled with a slew of twisted , traversed ,chugging, groovy,intricate,apocalyptic,crushing riffs line ups with technical prowess . As well bass line up is shifting, chaotic, deeper,roving and bludgeoning. Drumming,percussion line up is thundering,dodgy,punishing,frantic,blast beating and rabidly insane . There are a slew of individual riffs,solo sections which sound briefly something exotic . In each track intricate,spectacular riffs,bass lineups matched in fantastic way with technical orientation . This album indulge strong songwriting,grandiose concept and brilliant musicianship . Tempo changes are excellent and complicated . Vocals harsh,snarling growls,deep rasps, aggressive, vigorous, crucial voice woven in a good manner with their utterly savage,merciless,onslaught, primal organic ,violent,uncanny death metal sound with a lots of technical prowess, brutal,melodic segments,Middle Eastern musical accompaniment and embedded perfectly . I really worship this band . Each song have an energy ,fluency and dominating power . Stand out tracks are all of em. Album artwork is atrocious,indelible. Album artwork showcased the flavor of Egyptian mythology . Overall “Serpents Of The Nile” whole album Sound extremely promising,prestigious, blistering , extremely lush ,ambitious, menacing, conceptual in all the right ways . Indeed this album is such an true gem of this year and this album will give you unyielding awesomeness from beginning to the end . Their potential on this new album is appreciable . 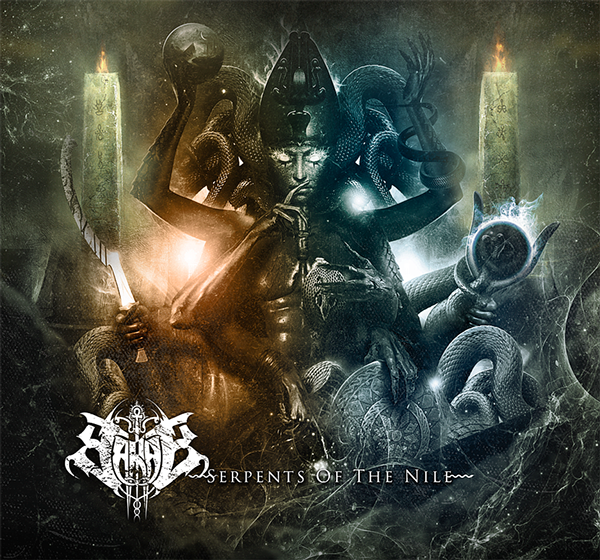 “Serpents Of The Nile”so presented as unshakable strong slabs of Egyptian mythology based death metal .This is aesthetics of death metal . This album have a fantastic sense of exoticism without any sacrifice in intensity and will take you on a journey where myth, religion, mystery, the desert and the Egyptian bright night meet. outstanding another one release of this year so far . This is strongly recommend to add it in your collection.Scarab able to cultivate Middle eastern music with death metal properly and garnished,presented this whole album as a masterpiece.Yet the subtle touches of Middle Eastern,Arabic musical style inspired flair and groove are enough to distinguish the band from the extreme metal pace, and their sophomore album demonstrates it perfectly. A slew of modern death metal is shiny, flashy, and in addition, purely cutthroat. Nowadays bands are experiment with their musical style continuously with candied old-school imitators.While some clueless newbies and sophomoric snobs attempting to sell their flavor of the month band to potential listeners, there are some bands that simply exist outside of pre-existing molds. Death metal does not stagnate in a constant form. Death metal presented in various forms. Some challengers exist, such as Irreversible Mechanism, a brilliant addition to the Progressive/technical death metal roster. On this year Minsk,Belarus based progressive/technical death metal trio Irreversible Mechanism unveiled their debut full length album entitled “Infinite Fields” via Blood Music record label. Irreversible Mechanism snagged former “The Faceless” drummer Lyle Cooper for their latest opus.Their latest studio effort is consist with nine tracks with approximate 40 minute running time. In before when they started hitting web with their manifestation those tracks destroyed and mesmerized with the progressiveness and technicality and easily became one of the anticipated progressive/technical death metal release of this year. ”Infinite Fields” alloyed with very unique kind of Progressive/technical death metal music with difficult,esoteric melody and atmospheric vibe.Their musical level of complexity, progressiveness,technicality and obscurity is phenomenal and appreciable. This album sounds so authentic,mature it's hard to believe it's only their debut album.well,now going straight to the point about this new album. This new albums whole composition,production is extreme and unlike anything I have heard before.I was super amped for this album. At first listen “Infinite Fields” floored me with their technical and progressive amalgamation with intricate,tricky riffs, hyped pedal thrusts with floating, brilliant,dark eerie,melodic keyboard harmonies and pours finally in a gigantic, highly melodic guitar solo and dense musical style. I was lookin for this type of unique release. This whole album impressed me with their Unrelenting ,powerful,blasting ,overarching,chromatic, critical acclaimed death metal sound with a tons of progressive and technical aspects and this new album rekindle my affection,obsession for progressive/technical death metal. They have exhibited symphonic parts in their latest studio effort with organic transitions.This bands each and every musician exudes tremendous, rigorous effort in radiant way on this album with excellent diligence and nailed it.Their technicality acrobatics on this album is unblemished. They have injected technical,exquisite,complicated riffs works, dark ,sinister,synth sound with atmospheric vibes into aural bashing,fast death metal with strangulated riffs work simultaneously. I highly cite this album and embrace them. Their heavy,ultra-fast sounds and often slow musical styles all combined in one bold, enlightened display of unbound creativity. Despite the often fast ,furious,cacophonous, heavy form of death metal assaults laced with a lots of segments of mid-paced,fast tempo too where Irreversible Mechanism combines intricate,tricky riffs work, with cavernous drum thrashes,aforementioned all aspects enriched this album that is very powerful,strong and excellent all at the same time along with a good balance of death metal music, progressive and technical death metal with strangulated ,stellar,tricky riffs work ,in addition a massive orchestral presence with amidst intricate,sinister keyboard, synth overlay and those effective rasps simultaneously.This album contains with a strong dose of creative,memorable progressive,technical death metal, with a trace of a modern taste,symphonic,rhythmic and melodic that is simply outstanding. well, their latest opus starts with a ominous instrumental track.This albums quasi opener “Into The Void”starts with prestigious rhythmic variation followed by horror flick,dark eerie keyboard sound ,beautiful,breathtaking interludes with sharp,crushing,savage riffs work,melodic solos and a wall of spectacular drums laced with aggression,deliberate cadence . Especially I’ll say in this albums every single riff is constructed with the care and precision of an artistic mastermind. From this new album we get very unique,epic kind of progressive death metal flavor. This album is filled with innumerous arpeggio,noodling,meandering,chugging, intricate, innovative ,complex riffs line ups with technical orientation . As well bass line up is shifting, chaotic, strumming,rumbled and muffled . Lyle Cooper's drumming lineup is continued with his brilliant style .Drumming,percussion line up is pummeling,dodgy, incessant,frantic,blast beating and rabidly insane . There are a slew of individual Jaw dropping ,subtle nuance,dazzling, astonishingly capable riffs solo with some melodic, harmonised leads and drumming sections which sound briefly something exotic . In each and every track intricate,spectacular riffs,bass lineups matched in fantastic way with technical prowess and progression. Each note rings with such clarity that they feel like individual entities .This album indulge strong songwriting, succinct tune and brilliant musicianship . Every instrument is clearly differentiated & represented excellently in each and every single track .Tempo changes are excellent and complicated . All songs have an amazing guitar riffing progression that blends excellently with the vocals. Vocals thick, formidable, hoarse growls emerged nicely and intertwined in a good manner with their grandiose , schizophrenic, crushingly heavy, technical death metal,progressive musical style soundscapes laced with laced with melodic accompaniment and embedded perfectly . I really worship this band and their their distinct style is appreciable. Their latest studio efforts each song have an energy and fluency. Stand out tracks are all of em .This album consist with only one instrumental track “Irreversible Mechanism”.Album artwork is gorgeous and showcases post apocalyptic theme. 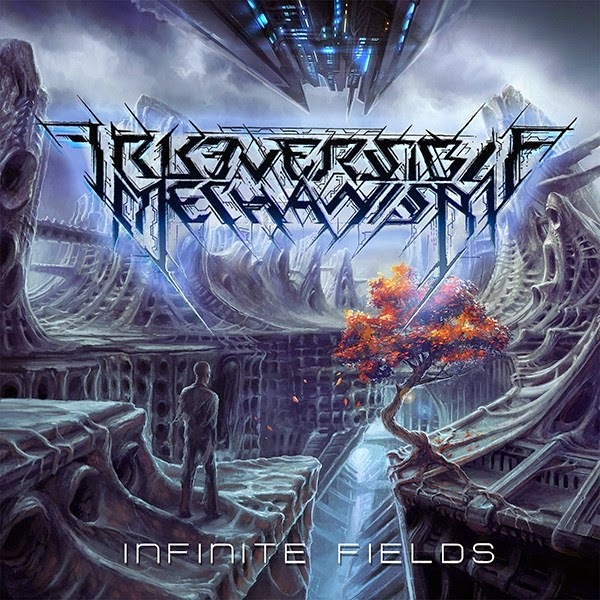 overall "Infinite Fields " whole album is undeniable,precise, meticulous,significant, elegant, gleefully technically proficient with brilliant production.This album subvert your expectation with inventive guitar work and amazing shred solos.Irreversible Mechanism‘s approach to death metal is a little unorthodox. This extreme progressive death metal album is one of the best release of this year so far.From now I’ll Keep my eyes and ears peeled for news from the bandcamp in the near future.From now I'll wait for their sophomore release.”Infinite Fields” is captivating,strongest,highly inventive progressive/technical death metal album of this year. It takes a certain kind of band to unite a hundred disparate voices. It takes another one entirely to turn it into a single united will that is likely to remain unstopped and unopposed for the rest of this year. My Rating – 4.8/5 . Review Done By - Souvik Basu. A lot of modern death metal is shiny, flashy, and in addition, purely cutthroat.In the matter of metal music the underground is full of newcomers who bring enthusiasm and fresh ideas . In before death metal presented in various forms. Nowadays bands are experiment with their musical style continuously with candied old-school imitators. Death metal does not stagnate in a constant form. Some challengers exist, such as Inverted, a brilliant addition to the death metal roster. Italy based death metal band Inverted bring their second full length album entitled “The Age Of Harvest” in the end of January ,2015. This new album is consist with 8 tracks with 30:50 min running time. Basically Inverted was formed in 2007 as Cyanide Christ. Later they have changed their name as Inverted in 2008. In before they had released debut full length album entitled “Point Of Crossing” in 2011. Now I am straight going to the point about this new album . This new albums whole composition,production is extremely filthy and relentlessly unforgiving .At first listen “The Age Of Harvest” floored me with their dreaded amalgamation which leads to a hammerin old School blunt force trauma with heavy riffs, hyped pedal thrusts.I was lookin for this type of harshest slabs of death metal.This whole album enthralled me with their Unrelenting ,powerful,blasting ,overarching,chromatic, chaotic,rugged, critical acclaimed death metal sound and dense musical style and this new album rekindle my affection,obsession for death metal. This bands each and every musician exudes tremendous effort in radiant way on this album with excellent diligence and nailed it. They have injected technical riffs works, dark and dirge vibes into aural bashing,furious,fast death metal with strangulated riffs work simultaneously that burns with oppressive fervor. I applaud this new addition and embrace them. Their heavy,ultra-fast sounds and disparate styles all combined in one bold, enlightened display of unbound creativity. Despite the often fast ,furious,cacophonous, heavy and barbarous form of death metal assaults laced with a lots of segments of mid-paced,fast tempo too where Inverted combines intricate,tricky riffs work,vicious,dirge vibes with cavernous drum thrashes,aforementioned all aspects enriched this album that is very powerful,strong and excellent all at the same time along with a good balance of death metal music, melody and brutality with strangulated ,filthy,thick,groovy riffs work and those effective rasps simultaneously. well, this albums opening track starts with relentless ,blast beating,fast death metal music with onslaught of savage guitar and a wall of spectacular drums with aggression,deliberate cadence . From this new album we get ultra-fast, oppressive death metal. This album is filled with a slew of twisted , traversed ,chugging, groovy,intricate, blitzkrieg,menacing ,complex riffs line ups with technical prowess . As well bass line up is shifting, chaotic,distorted,rumbled and punchy . Drumming,percussion line up is pummeling,dodgy,punishing,frantic,blast beating and rabidly insane . There are a slew of individual breathtaking ,subtle nuance,cadence,morbidly delicious, ominous riffs,solo and drumming sections which sound briefly something exotic . In each track intricate,spectacular riffs,bass lineups matched in fantastic way with technical orientation . This album indulge strong songwriting and brilliant musicianship . Every instrument is clearly differentiated & represented excellently in each and every single track .Tempo changes are excellent and complicated . Vocals deep rasps, gruff growls , vigorous, crucial, immense , aggressive voice intertwined in a good manner with their utterly savage,merciless,onslaught,violent, grandiose , vitriol ,uncanny deeply rooted old school death metal sound with a lots of dark,dirge accompaniment and embedded perfectly . I really worship this band. Their latest efforts each song have an energy ,fluency and dominating power. Stand out tracks are Across the Snow to Nowhere,Caves,Vexilla Prodeunt Regis Inferni,E.R. Weapons,Tunguska,Clear Sky . album artwork is mystique,atrocious,indelible. overall " The Age Of Harvest " whole album is undeniable,precise,Spectacular,engrossing ,significant, elegant.This album is epitome of death metal. Inverted have the misfortune of inheriting a genre that peaked, attracted infiltrators and imitators. This pure unadulterated death metal album is one of the best release of this year so far.From now I’ll Keep my eyes and ears peeled for news from the Inverted camp in the near future. Inverted provide another unblemished addition to this collection with this complete masterpiece, and thus can be accredited with the contribution to this intriguing and thriving, if not overlooked movement within extreme metal music. My Rating – 4.5/5 ,Review done by - Souvik Basu. 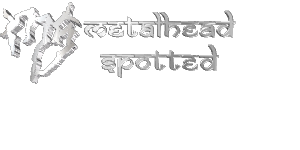 Alkaloid is formed by royal members from technical death metal and progressive death metal genres. This death metal super group featuring current and former members of Necrophagist, Spawn of Possession ,Obscura, Aborted, Dark Fortress, God Dethroned, Blotted Science,Thulcandra and Noneuclid. 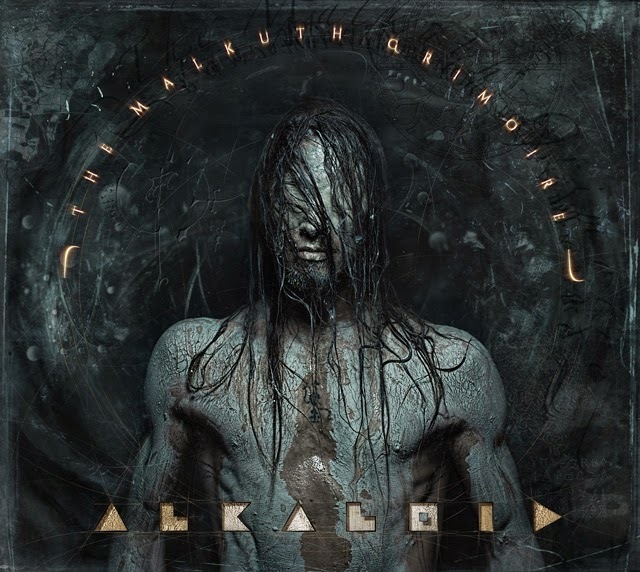 After extraordinaire performance with aforementioned bands on this year Germany based progressive death metal band Alkaloid bring their debut full length album entitled “The Malkuth Grimoire”. Their latest studio effort is consist with 12 tracks with One hour thirteen minute running time. In before when they started hitting web their tracks destroyed and mesmerized with the brutality and technicality than expectation. Death metal does not stagnate in a constant form. Some challengers exist, such as Inverted, a brilliant addition to the progressive/technical death metal roster. well,now going straight to the point about this new album. This new albums whole composition,production is extreme and unlike anything I have heard before.I was super amped for this album.Indeed this album is one of my long awaited anticipated album of this year.Here I want to notify another one thing past year I was also excited like this when I have heard Hannes Grossmann releasing his solo album “The Radical Covenant”.I was reviewed that album also and “The Radical Covenant” was my top listed from past year.I’m reviewing New Alkaloid album and to be honest this is more challenging for me haha. At first listen “The Malkuth Grimoire” enthralled me with their technical and progressive amalgamation with intricate,tricky riffs, hyped pedal thrusts. I was lookin for this type of unique death metal release. This whole album impressed me with their Unrelenting ,powerful,blasting ,overarching,chromatic, critical acclaimed death metal sound with a tons of progressive and technical aspects and this new album rekindle my affection,obsession for progressive/technical death metal. This bands each and every musician exudes tremendous effort in radiant way on this album with excellent diligence and nailed it. They have injected technical,complicated riffs works, dark and dirge vibes into aural bashing,fast death metal with strangulated riffs work simultaneously. I applaud this album and embrace them. Their heavy,ultra-fast sounds and often slow musical styles all combined in one bold, enlightened display of unbound creativity. Despite the often fast ,furious,cacophonous, heavy form of death metal assaults laced with a lots of segments of mid-paced,fast tempo too where Alkaloid combines intricate,tricky riffs work, dirge vibes with cavernous drum thrashes,aforementioned all aspects enriched this album that is very powerful,strong and excellent all at the same time along with a good balance of death metal music, progressive and technical death metal with strangulated ,filthy,thick,groovy riffs work and those effective rasps even some clean voice simultaneously. This album contains with a strong dose of creative progressive,technical death metal, with a trace of a modern taste, melody that is simply overwhelming. well, their latest opus starts with beautiful,breathtaking interludes with sharp,crushing riffs work,melodic solos and a wall of spectacular drums laced with some ambient and clean vocals . Especially I’ll say in this albums every single riff is constructed with the care and precision of an artistic mastermind. From this new album we get very unique,epic kind of progressive death metal flavor. This album is filled with a slew of twisted , traversed ,chugging, groovy,intricate, innovative ,complex riffs line ups with technical orientation . As well bass line up is shifting, chaotic, strumming,rumbled and muffled . Hannes Grossmann's drumming lineup is continued with his signature style .Drumming,percussion line up is pummeling,dodgy, incessant,frantic,blast beating and rabidly insane . There are a slew of individual Jaw dropping ,subtle nuance,dazzling, astonishingly capable riffs solo with some melodic, harmonised leads and drumming sections which sound briefly something exotic . In each and every track intricate,spectacular riffs,bass lineups matched in fantastic way with technical prowess and progression. Each note rings with such clarity that they feel like individual entities .This album indulge strong songwriting, succinct tune and brilliant musicianship . Every instrument is clearly differentiated & represented excellently in each and every single track .Tempo changes are excellent and complicated . All songs have an amazing guitar riffing progression that blends excellently with the vocals. Vocals thick, formidable, hoarse growls and even some clean voice emerged nicely and intertwined in a good manner with their grandiose , schizophrenic, crushingly heavy, technical death metal,progressive musical style soundscapes laced with laced with melodic accompaniment and embedded perfectly . I really worship this band and their their distinct style is appreciable. Their latest studio efforts each song have an energy and fluency. Stand out tracks are all of em .This album consist with only one instrumental track “C – Value Enigma”.On this track bass work is remarkable. Album artwork is mystique,gorgeous. overall " The Malkuth Grimoire " whole album is undeniable,precise,Spectacular,engrossing ,significant, elegant, gleefully technically proficient with brilliant production.This album subvert your expectation with inventive guitar work and fusion shred solos. Alkaloid’s approach to death metal is a little unorthodox. This extreme progressive death metal album is one of the best release of this year so far.From now I’ll Keep my eyes and ears peeled for news from the Alkaloid band camp in the near future.From now I'll wait for their sophomore release. Alkaloid provide another unblemished addition to this collection with this complete masterpiece, and thus can be accredited with the contribution to this intriguing and thriving album with extreme metal music where death metal is main ingredient. My Rating – 4.7/5 ~ Review done by Souvik Basu.